In the first couple of weeks after Elvis Presley died on August 16, 1977, articles remembering him appeared in hundreds of American publications, including professional journals, national magazines, and local newspapers. Most of the memorials were respectful in tone, some quite emotional. In the immediate shock of the moment, most journalists struggled to evaluate Presley’s lifework in a reasoned manner. One writer who was able to step back and do so was Robert Hilburn, rock critic and music editor of the Los Angeles Times from 1970 to 2005. 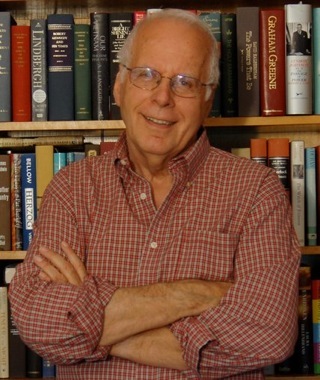 During his years with the Times, Hilburn’s reviews and essays appeared in publications around the world. He accompanied Johnny Cash, Elton John, Paul Simon, and Bob Dylan on tour and wrote published biographies of Cash and Bruce Springsteen, as well as a personal history of his work chronicling rock music for four decades. He has been a member of the Rock and Roll Hall of Fame nominating committee since its inception in 1986. 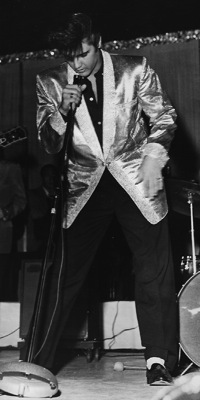 While conceding that Presley’s “artistry failed at various times in his career,” Hillburn noted that Elvis remained a link to his generation’s dreams. When a record, a film, or a concert disappointed, it was no different than when his followers suffered setbacks in life. Just seeing him, Hilburn asserted, allowed his original audience to reconnect with Elvis and the idealism and hope he first inspired in them years before. While some contend that Elvis’s best records were made at Sun Records before he attained national fame, Hilburn focused on the significance of Presley’s work after the movie years. 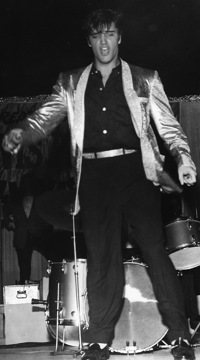 Acknowledging that the 1968 NBC-TV special helped restore Elvis’s credibility, the real key to his comeback, said Hilburn, was his return to live shows in 1969. It demonstrated his continuing box office power and exposed him to a new generation of critics. “We talked about some of his musical influences, the early days at Sun Records, the role producer Sam Phillips played in developing his music. But it was little more than confirming what had been printed. He had the self-protective air common among the famous. Wary of misquote and someone trying to take advantage, he remained distant. But polite. “An era over? Most certainly. But Presley’s legacy will continue as long as rock ’n’ roll is played. You can see evidence of his influence in virtually every rocker who steps on stage. “But Elvis changed more than our music. He helped change the way we dressed, thought and aspired. As long as he was alive, there was the chance he would again approach his music with the energy and desire that brought him closer to perfecting his art in the ’50s than anyone else in rock. “When combined with the primitive, sensual music, Presley’s long hair, flashy clothes and emotional abandon had an electrifying impact on teen-agers."